Can you ever have too many mac and cheese options? Nah, didn’t think so. How about some creamy, velvety, delicious, avocado mac and cheese? Oh yes please! Avocado mac and cheese is SO flavourful and SO satisfying! It’s also vegan and gluten free. An easy choice! If you’re not avoiding gluten, feel free to sub any of your favourite pastas. Plus, it’s kid friendly and made using healthier ingredients so you can feel good about serving this to your loved ones. There is something so warm and comforting about mac and cheese. Maybe because it reminds so many of us of our childhood. Mac and cheese is really a winning dish for most, if not all little ones! If avocado mac and cheese doesn’t do it for you, how about Dairy Free Mac & Cheese with Roasted Sweet Potato or Butternut Squash Mac & Cheese? To make this super easy recipe all you need is one pot and a blender. (I use my Vitamix but any high powered blender will do the trick!) Add all your ingredients (except the pasta) to your blender and process until smooth and creamy. Meanwhile, cook your pasta according to package directions. Then drain and combine with the sauce. Simple, easy, dinner is served! Avocado mac and cheese really checks all the boxes! 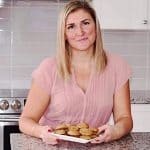 For more easy recipes you may enjoy these! As usual, I’d love to hear what you think in the comments below. 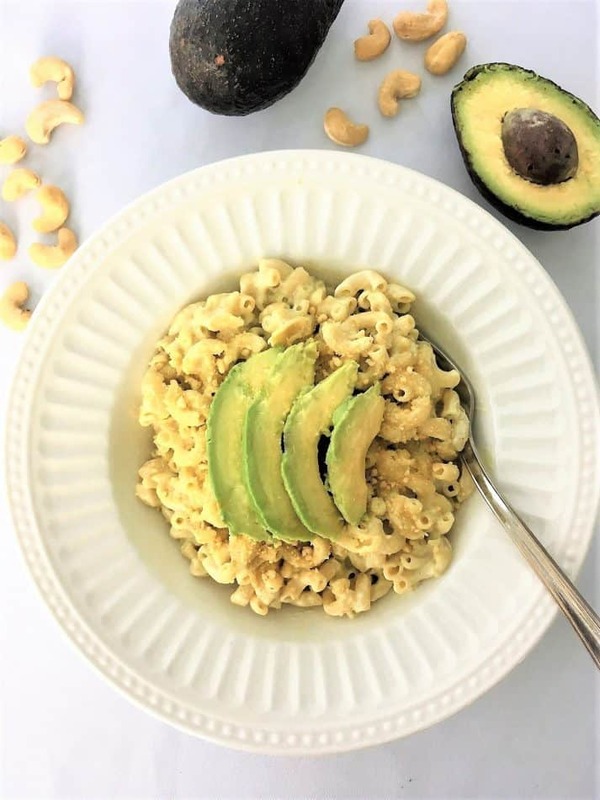 Avocado mac and cheese is deliciously creamy and made using healthier ingredients so you can feel good about serving it to your loved ones. Bring a large pot of salted water to boil, and cook pasta according to package directions. Drain and return to the pot. Meanwhile, add all your ingredients (except the pasta) to a high powered blender (I use a Vitamix) and process until smooth and warm, about 3-4 minutes. If you do not have a high powered blender that will heat your sauce, transfer the sauce to a sauce pan and heat over stove top once puréed. Pour your sauce over the cooked pasta and mix well. Serve in bowls garnished with avocado slices if desired. What an amazing dish! Will try to cook ot by myself! Thank you. Hope you enjoy. i’ve never thought to use avocado in my mac and cheese. seems like it could give it a nice and creamy texture. great idea! 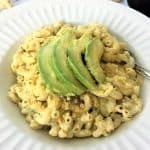 I never would have thought to add avocado to mac and cheese but it definitely adds such a great healthy boost! Definitely a boost of healthy fat, thanks for your feedback Amy. Avocado plus mac and cheese?! Yes, please all of it! Right? So good! Hope you enjoy. 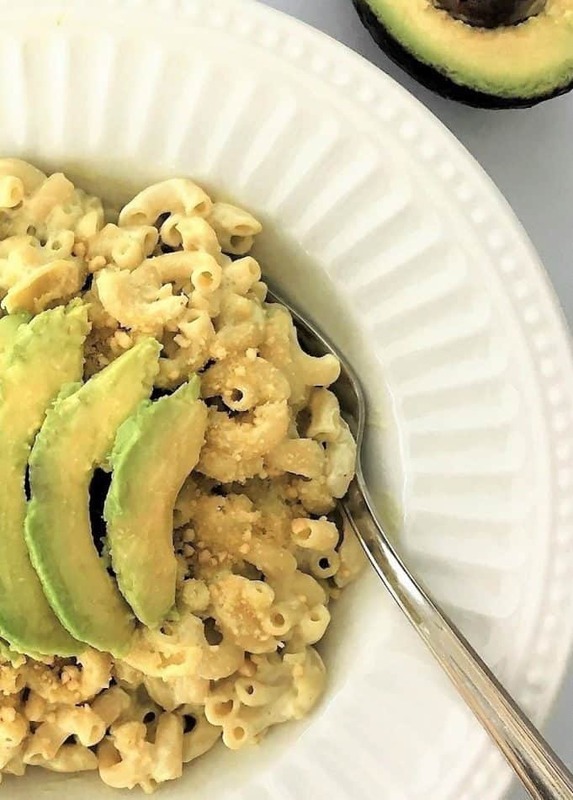 Just when I thought macaroni and cheese couldn’t get any better- you add avocado! YUM!! Haha thanks Liz! Hope you enjoy. I’ve never put avocado on pasta. I must try this! I bet my little guy would love it as well. Thanks Cristie, hope you both enjoy! Did someone say avocado? I’ll try anything with avocado! This sounds absolutely divine! Thanks so much Kate! Hope you love it!